These are programs that Dr. Monika Herwig has either created or endorses to bring more spirit, connection and wellness into schools. They nourish the growing child on all levels and support the heart, head and hands connection as well as the connection to each other and our community. Contact thrivingschools@opentowellness.ca for information on the yearlong storytelling mentorship program for teachers or homeschoolers with children ages 3 - 9 years old. Dr. Monika works with both Parents and Teachers to bring storytelling to the different ages. The recent studies documenting the effect of oral storytelling on brain development brings storytelling into the brain-building and empathy-cultivating camp - curriculum components like storytelling are needed in our curriculums more than ever. Storytelling is one very practical, joyful way to bring the art and health benefits of mindfulness into your child's curriculum and home. Calm, connected, joyful classrooms and homes have the potential to change the way we are with each other in the world in one generation. The impact of creating healthy foundations in childhood is like no other. Dr. Monika has brought her approach to storytelling - also known as 'Storytelling with a Pause' - to a variety of groups from teachers, to parents, to homeschoolers. Seniors and children were brought together in a powerful project funded by the Banff Foundation Grant in 2015 - 'Bridging the Generational Gap with Stories' - where seniors were taught this technique to then share stories with the grade 2 class. Huge success! For schools, Dr. Monika provides mentorship on the basic gems that increase engagement, connection and enjoyment through a process called the 'Story Embrace'. It can turn any ok delivery of a story into an engaged delivery to show you how to really - and so simply - harness the magic and power of story for our children and ourselves. 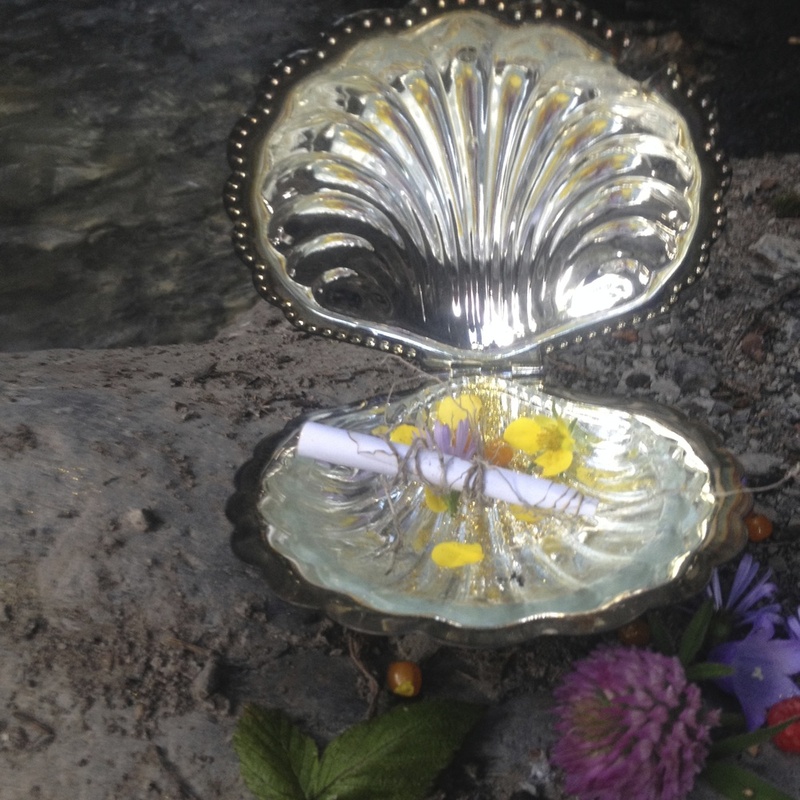 She guides the building of a collection of stories for life events to support the students as life happens as well as a curriculum to follow throughout the year to grow the connection to our natural world. Stories that focus on the core values of your particular school are assembled as well and add substance to your school's culture and the children's sense of self, place and belonging. Some favourite books/resources: Stories for Challenging Behaviour by Susan Perrow, anything by Suzanne Down (junipertreepuppets.com), Nancy Mellon(master!) or Hugh Lipton. Susan Perrow has new collections of stories in e-book format available at this link - http://susanperrow.com/e-books/ . 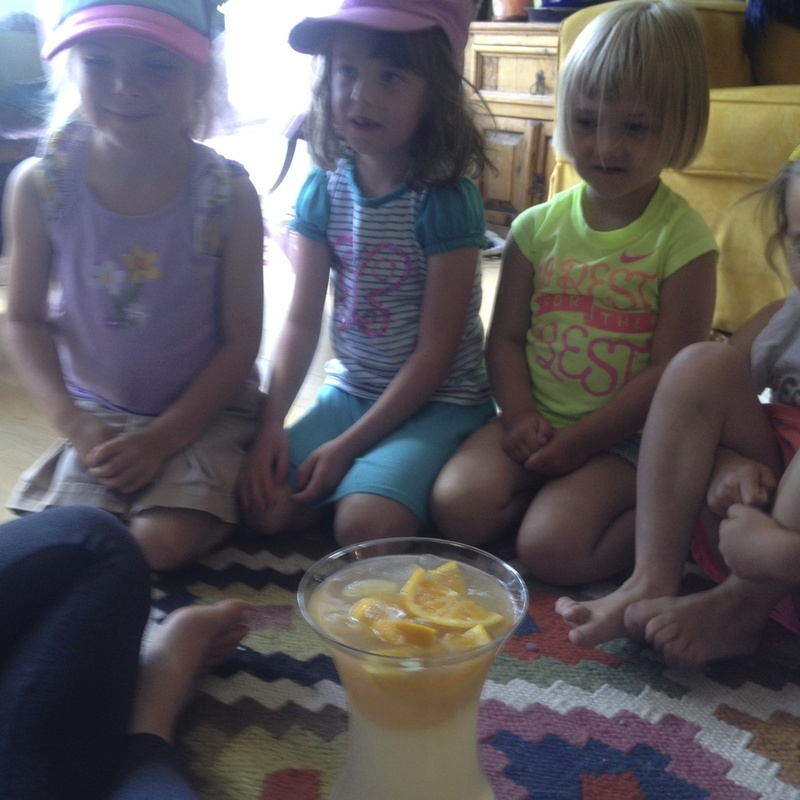 "Sharing a story orally with my pre-K class was way easier than I thought. I couldn't believe how engaged the children were. Then that night my own children at home were having a hard time settling for bed and I started to tell the story - it was like magic - for the nights that followed they wanted to hear it over and over again. This is such a powerful way to really connect with the children in our lives." Joanne, elementary school teacher with early literacy specialty and mother of 2 boys. Note: This was just after spending 1 hour together with Dr. Monika working with the Witchamaroo story - since then Joanne has told many more stories on her own.
" I had lost my empathy. I had retired from teaching and realized I had lost my empathy for others ... I knew that wasn't right but I didn't know what to do to get it back. Somehow I ended up in the school/community program learning oral storytelling and puppet plays with Dr. Monika. Such a simple thing to do that I wished I had had when teaching. It gave me the ability to reconnect in such a soulful, mindful, heart filled way that I somewhere in the journey of it I got my empathy back. Thank you so much Dr. Monika." "Thank you Dr. Monika for teaching myself and the other seniors 'Storytelling with a Pause'. The 8 week Intergenerational Storytelling Project where you taught us how to share stories orally (and in such a magical way!) with the grade 2 children at Alpenglow Community School impacted me more than you probably realize. I am a retired school teacher and at the time was feeling lost - really going through a tough time wondering what I could still offer of value - I was coming up short. Learning storytelling in this way and seeing the enjoyment of the children as we shared story with them gave me a new lease on life. I now use the storytelling with the children at our church and with my grandchildren - I love sharing and growing my new skill. Heart-felt thank you!" J.B. This 8 week curriculum piece nourishes the child on all levels. So much of the regular curriculum can be brought into this activity. In the end you are left with a lovely, love-filled blanket that the children can use to add more warmth in the world: raise money with through a raffle, give to the school's Roots of Empathy baby, gift it to a pregnant staff member at the school … so many possibilities. The health and overall learning benefits of knitting is well-documented and researched - it has the similar effects to yoga and meditation and the rhythmic-criss cross nature of it is excellent support for brain development. If you are interested in having this program in your child's school you can approach the teacher/school and purchase the Curriculum directly. The other option available is to contract Dr. Monika Herwig to support implementation into the classroom. Basic package ($297): includes the Curriculum Modules and 2 hours of support visits/calls. Schools can hire Dr. Monika Herwig directly. tellmeastory@opentowellness.ca. This activity is an especially timely gift to offer students in the 3rd and 4th grade to support the 9-10 year developmental change but it obviously has no age limit - all can benefit greatly from it. Currently in the Bow Valley the opportunities for gardening to be part of curriculum and life is growing. Alpenglow Community School, Lawrence Grassi Edible Gardens Project, and the Community Garden by the Hospital. Pride. Teamwork. Confidence. Enjoyment. Through Chris from the Farm Box and Graeme the grade 3-4 teacher at Alpenglow School the class harvested the vegetables from the school's roof top garden and made soup. As you can see these boys don't have time for small talk and a photo - they are focussed on enjoying the thumbs-up soup they made with their class. These experiences promote wellness on so many levels: connection to the earth, whole good fresher than fresh food, connection with each other. Especially at this development stage in their life this is such a beautiful curriculum gift to offer the students as the step more into themselves as individuals in community. Yoga Nidra In Schools - these 15 - 20 minute imagination/story based mindfulness sessions that balance the nervous system, build emotional resiliency, support brain growth and capacity and create healthy breathing habits in children are a potent addition to the curriculum. It is very easy to do - the children lie down on their backs and are taken on a guided breathing - body awareness -visualization journey that is nourishing for their maturing/developing nervous system and increases the capacity for learning and retaining information, for social-emotional communication, creativity and stress management. The Mindful Schools program is being integrated in increasingly more schools across the World. Stories to connect to the land and hands-on workshops to make remedies. 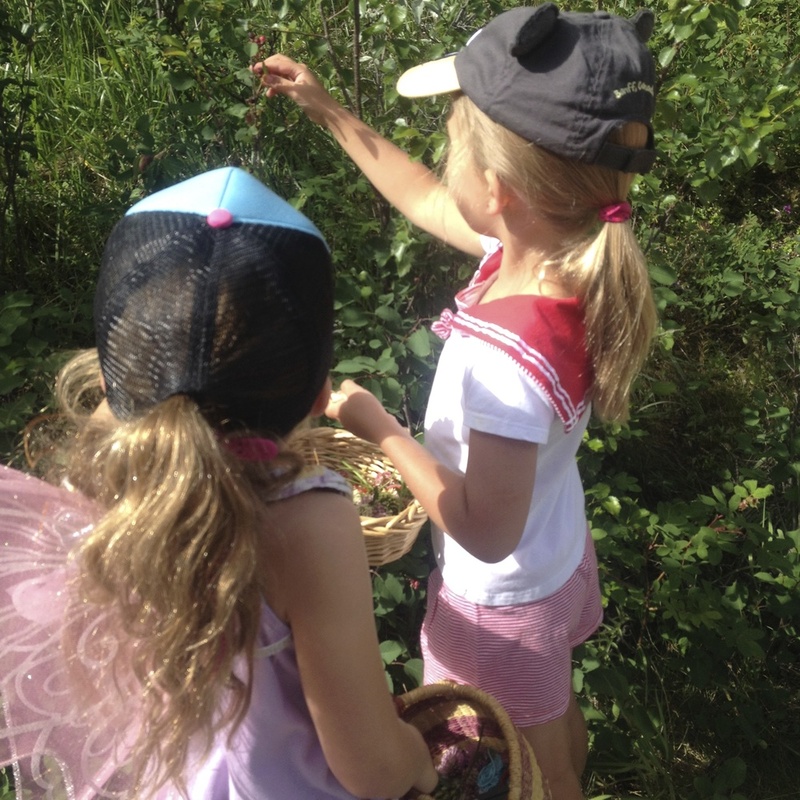 Dr. Herwig has created Fairy Camps where plants and nature are explored through experiential, playful learning. Storytelling and movement games igniting wonder, curiosity and respect for our local land and environment is central.The gift of simply creating the space and time for their natural deeper connection to nature to deepen is often all that is needed. 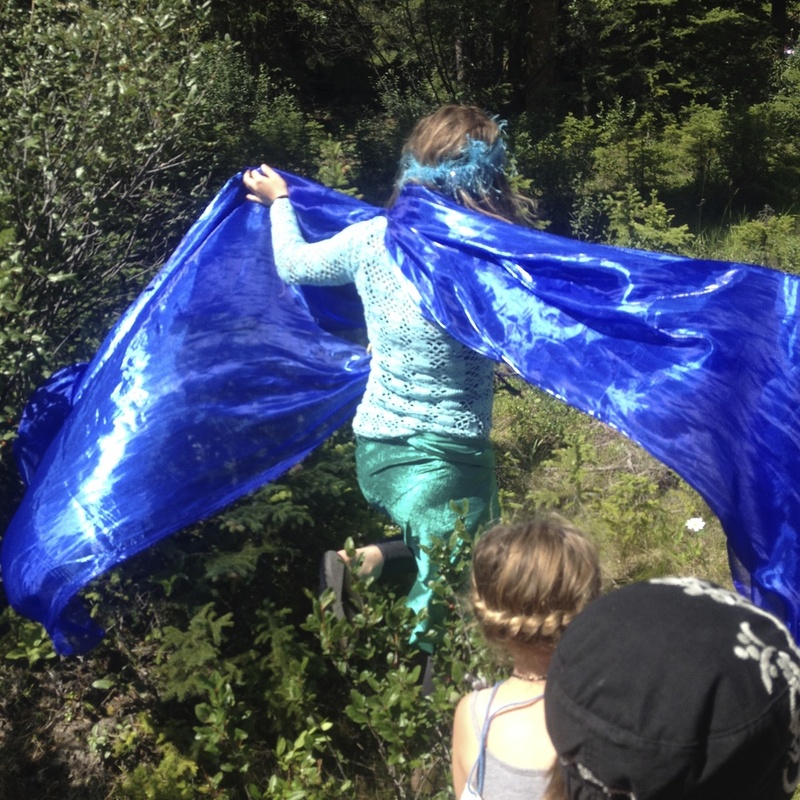 Canmore currently offers three outdoor after school programs - Fairy Fridays (though Dr. Monika Herwig here at Open to Wellness), Forest Play (through Nature's Tracks with Dave) and Paleo Play with Corey. 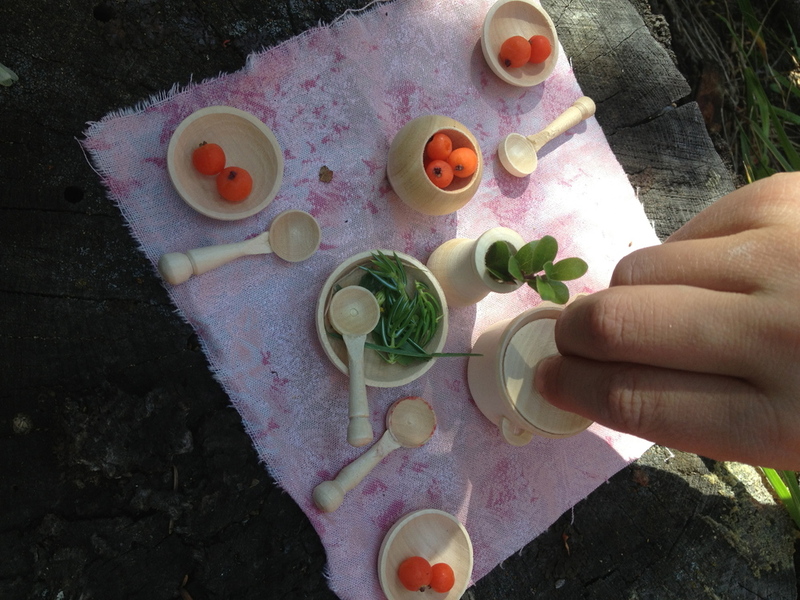 Feast and Forage in Canmore with Your Child - E-book now available on Amazon! This is a helpful tool that Rudolf Steiner brought in as part of the underlying curriculum for teachers in Waldorf Education. 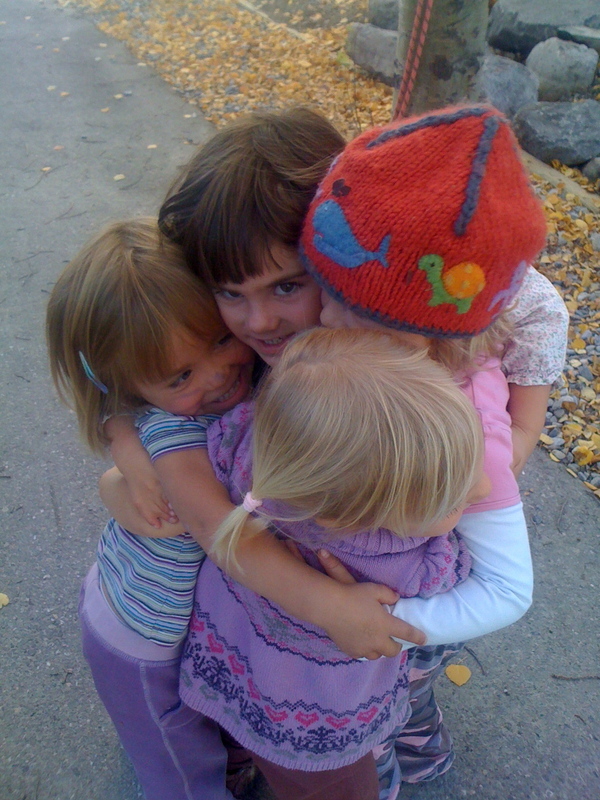 Understanding the temperaments and learning how to practically work with them allows teachers, assistants and parents to work with and support the children in their care in a unique way allowing the child the experience of being deeply seen. See blog entry on the Four Temperaments and Discipline for an invaluable tool for empathy and connection. For more information on any of these programs email Dr. Herwig at inspired@opentowellness.ca. Dr. Herwig works with schools, homeschooling groups and parents on these topics and is available for mentoring calls by Skype and phone as well.